The funerals of Naama Henkin and her husband Eitam, an Israeli couple in their thirties who were shot to death while driving home last night with their four children (four months to nine years old), are underway as we write these words. They are happening while a highly successful apologist for precisely yesterday's kind of violent, hateful terror acts that took the Henkins' lives is touring the United States on a roadshow inspired, sponsored and principally executed by Amnesty International. His name is Bassem Tamimi. We have written about him several times in the course of the past month. Here is our translation of a Hebrew-language interview published a month ago. 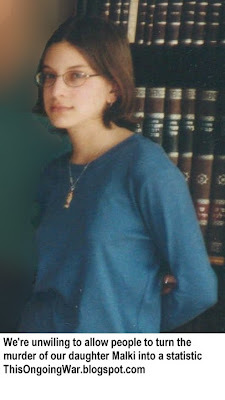 In it, Nariman Tamimi, Bassem's wife and frequent "activism" and "resistance" partner as well as being the mother of the precocious fist-in-the-soldier's-face, teeth-clamped-into-the-soldier's-arm Surly Temper, reveals her not-so-nuanced attitude to murder. She throws light as well on the role murder plays in her town's (more precisely, the Tamimi clan's) media-rich 'struggle'. As far as we know, no one else has published an English version. We would be glad to know it is getting some exposure. One of the major Palestinian murderers who emerged from the village is Ahlam Tamimi who transported the perpetrator of the terror at Jerusalem’s Sbarro pizzeria. 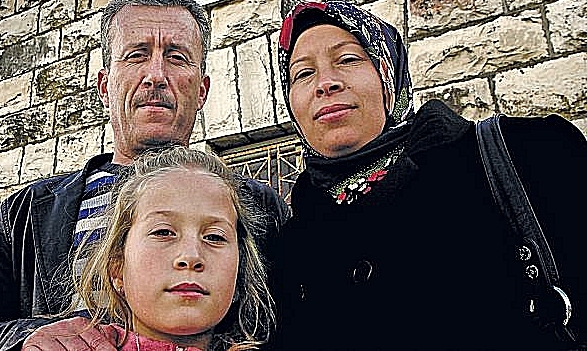 "What she [Ahlam Tamimi] did was an integral part of the struggle. Everyone fights in the manner in which he believes. There is armed uprising, and there is popular uprising. I support every form of uprising. I personally choose the way of popular uprising," explains mother Nariman. And lest anyone fear that Mrs Bassem Tamimi has any actual reservations about the particular form of "uprising" chosen by her cousin, the homicidal sociopath Ahlam Tamimi, a quick glance at the Nariman Facebook page, with images like the one on the right lionizing the multi-murdering, celebrity sociopath Ahlam Tamimi, will soon put that matter to rest. For the lethally hateful village of Nabi Saleh, Ahlam Tamimi, the confessed, exultant and entirely unrepentant murderer of our fifteen year-old daughter and more than a dozen other innocents, is a celebrity, a hero, and most of all - a figure to emulate. But for Amnesty International, well - that's an altogether different story. Does all this branding, selling, marketing, promoting have an effect? Of course. See for instance a fairy-floss op ed confection that appears today in the town newspaper where Bassem Tamimi's visit was seized upon by his handlers to win over some eight year old school kiddies (the story is here). As becomes clearer with each passing day, innocent little children are a key demographic for certain sorts of people. This superficial article, under the subtle heading "Guest Viewpoint: Tamimi is champion of human rights" is signed off by "Maura Stephens... a Spencer resident". We guess her record in the town where she works, as an advocate for the Palestinian Arabs and other causes of a similar kind speaks for itself. It probably needed no additional elaboration in the Ithaca Journal. She's also Associate Director, Park Center for Independent Media, Department of Journalism, at Ithaca College. 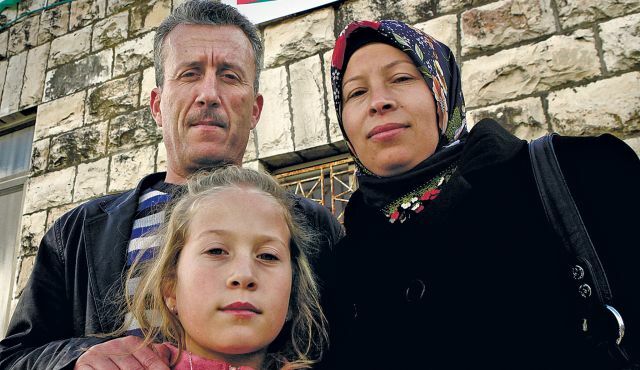 Tamimi is the kind of person we want our children to meet. His work revolves around inclusion, love, nonviolence and reconciliation. [Ithaca Schools Commissioner Luvell] Brown’s objection to Tamimi’s sharing of simple truths about life under ongoing oppression in an occupied land is an insult to many who actively champion human rights... Third-graders understand the healing powers of love. They can grieve and sympathize with those who’ve suffered loss. If we won’t speak truth to these children, on whose shoulders so much will soon rest, we’re doing their generation a grave disservice... 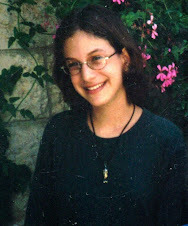 The message to our children should be that U.S. residents can and should help persecuted people achieve not only self-governance, but also the most basic rights and dignities they lack under the current Israeli regime, which is propped up by our government. If we cannot model such work, we fail our children, our society and our future. So in the interests of not failing your children, your society and your future - and ours too - will Ms Maura Stephens take these simple questions of ours (below) and put them to her idol of love, nonviolence and reconciliation? 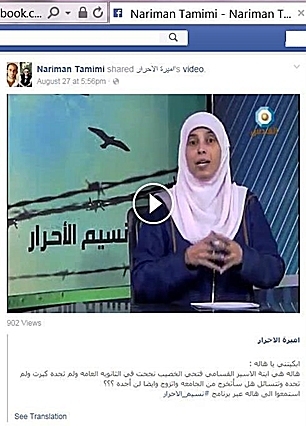 We began posing them some weeks ago ["04-Sep-15: Mr. Human Rights Defender, a question if we may"] but Tamimi and his handlers have avoided answering them. Probably they lack Maura Stephens' urge for speaking truth. Or just super busy. The rest of us, very much less convinced than Ms Stephens is of Bassem Tamimi's dedication to love and reconciliation, can probably guess the answers. But it's important for the questions to be asked, even if those who proclaim a commitment to truth actually intend for these particular truths to be left under the rug. It's also important that the way they are ignored is factored into how we feel about the terror-laundering Tamimi and the useful idiots providing him a platform across the United States.